As we age, it's important to stay active. Not only does activity aid us in overall health, it helps with emotional health as well. Participating in some form of exercise is strongly recommended for seniors, but which exercises are safe and effective? Cardiovascular health is important at all points in life, especially as we get older, and there are a variety of effective forms of exercise available which are perfect for seniors. Here are some of the best cardio exercises for seniors. This activity is perfect for seniors who wish to stay active, and it has a big impact on overall health and morale. Coined the “perfect exercise” swimming not only provides a cardio workout, it also helps strengthen the muscles. There's little to no stress on the joints and bones, making this activity perfect for those suffering from arthritis. Swimming is also a great workout for the mind, and it's also attainable any time of the year. Seniors can swim in an outdoor pool when it's warm and opt for an indoor pool when the weather is chilly, as many fitness centers offer indoor pools as part of their programs. Many seniors with joint issues get a lot out of cycling, whether indoors or out. Cycling helps with cardiovascular health as well as cognitive health, and it a great way to stay active. Stationary bikes are also available for those who are fearful of falling, making this cardio workout a popular activity among seniors, as it is low impact and safe. There are many aerobics classed targeted specifically for seniors, which include fun, effective workouts that are tailored to their needs, focusing on balance, core strength and low impact cardio. Group exercise programs provide a fun environment for seniors to get involved, stay active and make new friends. From low impact aerobics classes to Zumba and everything in between, there's a class out there to appeal to virtually anyone! Keeping your body healthy not only helps to prevent illness, it helps to keep your mind sharp and your morale high. 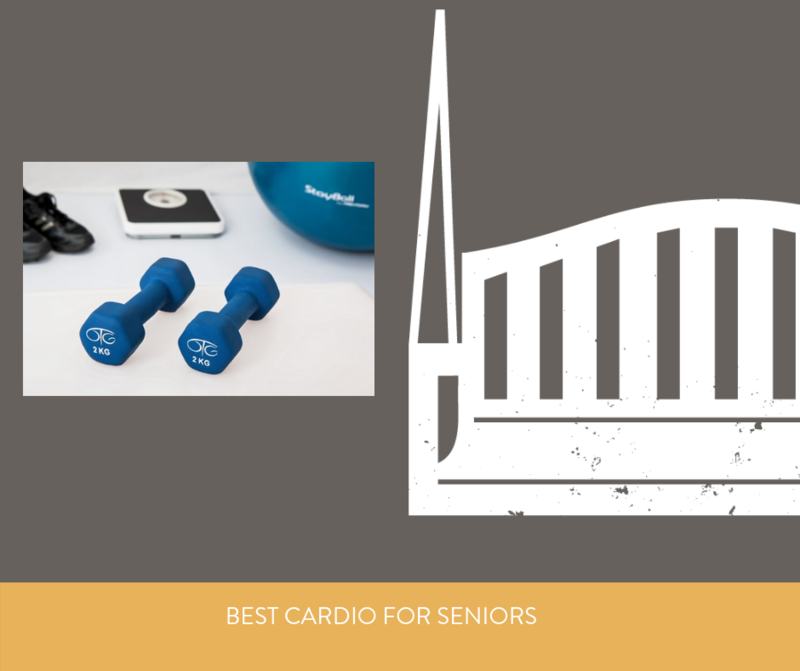 Engaging in cardio workouts as a senior is an important part of life, and it begins with finding what you like to do. Maybe you're not a swimmer, but you enjoy cycling. Or maybe you prefer to partake in yoga or Pilates. No matter what activity sparks your interest, be sure to try to stay active and healthy at all points of your life. Your body and mind will thank you for it. reSettled Life does not take the place of your medical professional. Before starting any new type of exercise or workout routine, please consult with your doctor.